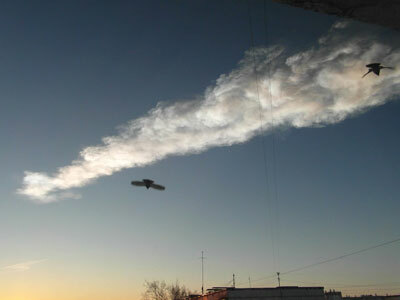 The meteorite explosion over Russia’s Urals region was an extraordinary, unexpected event, says the emergency minister. The incident triggered worldwide scientific debate over the possibility of building a meteor warning/prevention system. The Emergency Ministry assessed the likelihood of a meteor blast as extremely low. “We thought that humanity would not have to face such an attack for another couple of thousand years, but the opposite happened and Russia was hit with a large-scale natural emergency,” Russian Emergency Minister Vladimir Puchkov told Kommersant daily. He added that currently there is no technology available that could predict or control meteor showers. “North America, Europe and Russia have certain systems, but they can only track large meteors. And given the speed they travel at, people cannot rely on timely warning systems,” Puchkov said. “What happened in Russia was unique. People in six regions saw the flash. Then a strong shock wave followed. 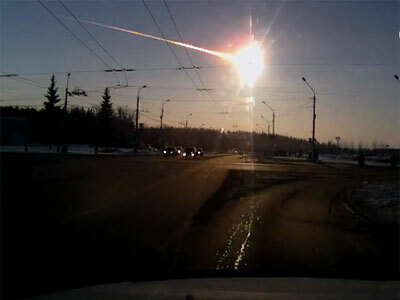 Meteorite hit the city, rural areas, facilities, transport and social infrastructure. 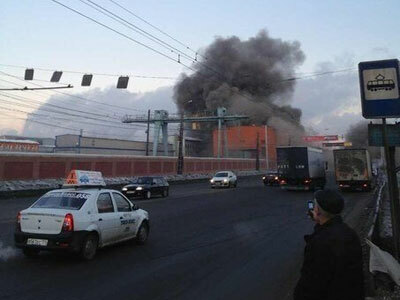 Chelyabinsk was hit the worst,” he added. 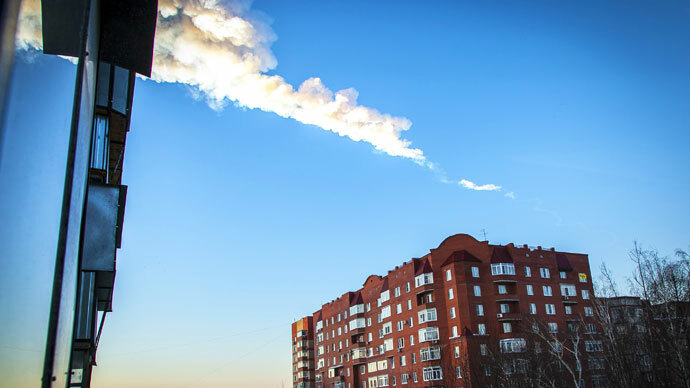 Scientists have confirmed that the fragments found in Chelyabinsk are part of a meteor. But, the search for larger samples is ongoing. About 30 researchers from the Ural Federal University will make their third expedition to the Chelyabinsk Region in the search of more fragments, RIA Novosti reported. So far, scientists have been able to gather dozens of meteor fragments weighing up to 1kg in total and ranging between 1 and 7mm. 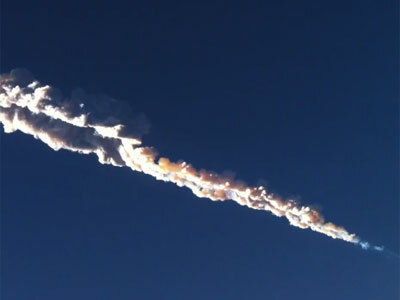 The object that struck Russia was identified as a solitary 10-tonne bolide by the Russian Academy of Sciences (RAN). Bolides, or bright fireballs, are large meteors that explode in the lower atmosphere and, unlike meteorite showers, can be dangerous, scientists explained. The Chelyabinsk fireball entered the atmosphere moving at a speed of about 20km/s. The object, several meters in diameter, then burst into pieces at a height of 30-50km above the ground, RAN reported. 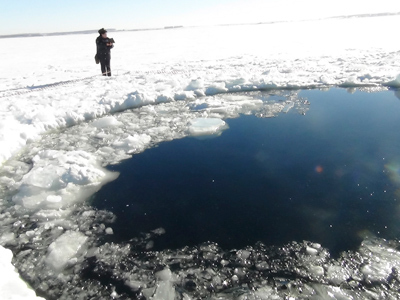 Three consecutive explosions shattered the meteorite further. Large fragments moving at high speed caused a powerful flash and a strong shockwave, with most of its energy released at a height of 5 to 15km above the earth, with the atmosphere absorbing most of that energy. Around 1,200 people sought medical attention in Chelyabinsk alone and the explosion damaged several buildings, blowing out thousands of windows in frigid winter weather. The 500-kiloton explosion of a space bolide above the Urals Region opened a debate in the scientific world over whether or not it is possible to have a warning system that could monitor and prevent possible future meteor showers. Roscosmos, Russia’s national space agency, announced a competition to develop an automated system that would warn of dangerous situations happening in space near Earth. The agency will be accepting applications until March 26. Results of the competition will be announced in April. The winner will receive a contract for 86 million rubles (US$2.8 million) to develop the system. Russian scientists have presented an operable national defense program against threats from outer space that can be built within 10 years’ time. The system will consist of a network of robotic telescopes monitoring space around our planet, some of them delivered to orbit, others operating from the surface. The program specifies that destruction of an asteroid in emergency cases could be performed by a rocket with a powerful megaton-class thermonuclear warhead. 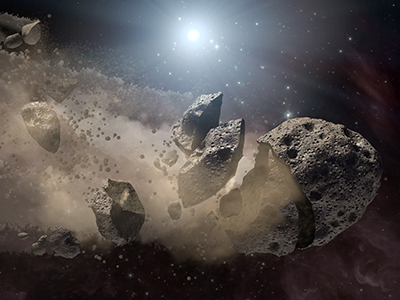 If the threat is detected early, more advanced means of changing an asteroid’s orbit may be considered. The program is said to cost 58 billion rubles (over $1.9 billion). Deputy Prime Minister Dmitry Rogozin criticized the idea of creating a network of telescopes in Russia to predict the fall of meteorites. Building such as system alone would be very “expensive and ineffective”, he tweeted. He argued that in order to have a successful system Russia must reach out to foreign countries and work at the international level. One Russian scientist agrees and proposes the creation of an international monitoring system. The deputy director of the main Pulkovo Observatory, Aleksandr Devyatkin, believes that such a system will need to consist of a minimum of 12 observatories. And each of these observatories will have to be equipped with telescopes that have at least 1 meter in diameter. “The observatories would be able to cover the whole sky. It is possible to develop this type of system at an international level,” Devyatkin said at a press conference on Friday. He also proposes creative new ways of liquidating an object before it would hit Earth. One way is painting an object white so it would burn up faster as it enters the atmosphere. Another is trying to change the trajectory of the meteor by sending up a spacecraft or satellite to change the object’s direction.